The hearing impaired community offer to one another the sign of peace. 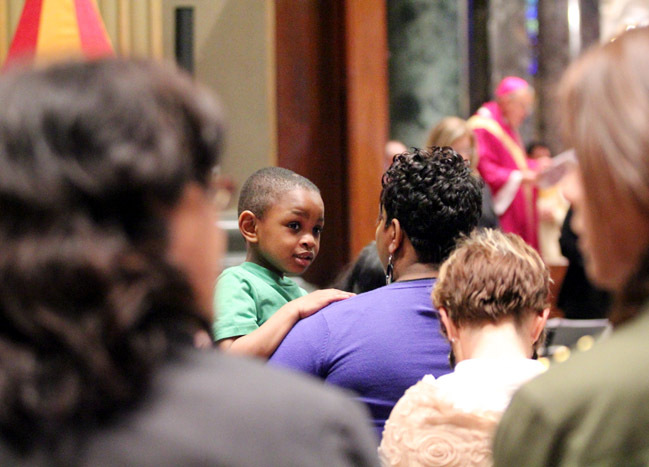 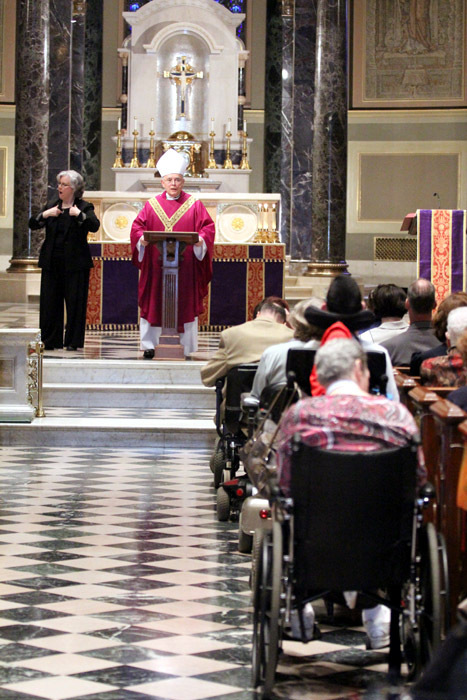 Archbishop Charles Chaput was the main celebrant and homilist at the annual Mass for Persons with Disabilities April 12 in the Cathedral Basilica of SS. 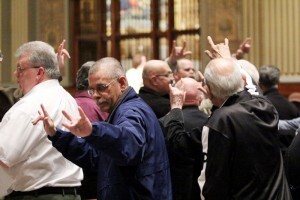 Peter and Paul, Philadelphia. 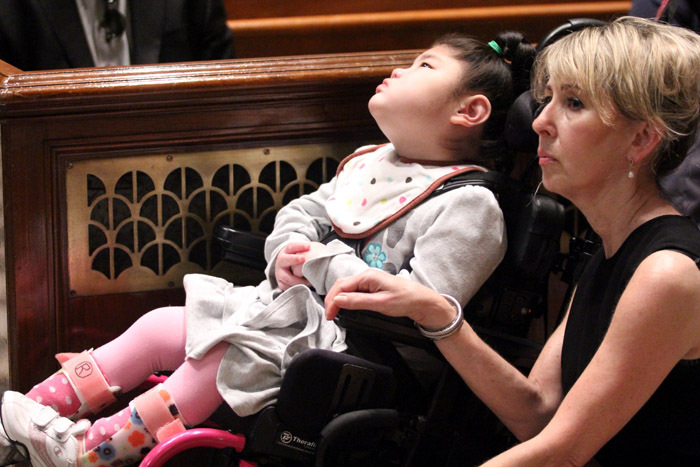 The Mass was sponsored by the Archdiocese of Philadelphia’s Office for Persons with Disabilities and the Deaf Apostolate, which recognizes the needs and gifts of people with intellectual and developmental disabilities and facilitates their participation in the life of the Church and its faith community. 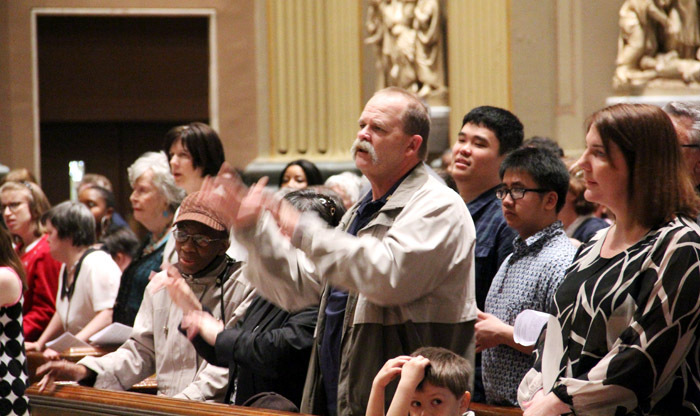 The Bell Choir from Divine Providence Village performed the prelude and the Roman Singers from Roman Catholic and St, Hubert High Schools provide the liturgical music. 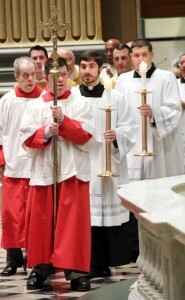 Msgr. 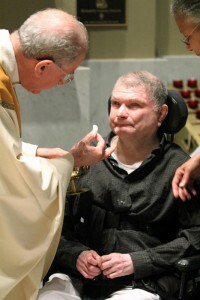 Richard Bolger offers holy Communion to John. 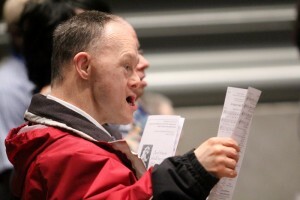 Jimmy from the Cardinal Krol Center sings along during Mass. Mary Grace Fedoras, right, from St Joseph Parish in Spring City enjoyed Mass with her mother Susan. 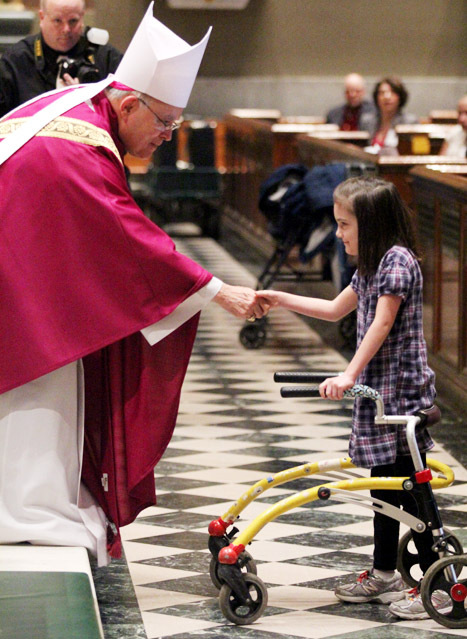 Archbishop Chaput greets Elizabeth Estrada after she brought up the offertory gifts with her family. Aaron Chandler attended Mass with his mother Nicole. 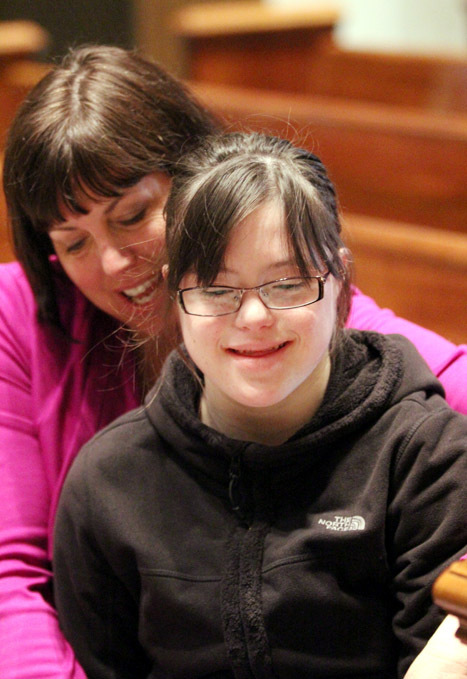 Sunny from St. Edmond Home for Children is attended by Denise Clofine, administrator of the facility that is run by archdiocesan Catholic Social Services. 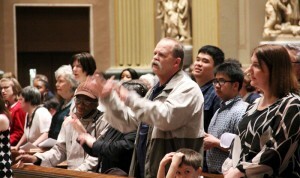 Members of the hearing impaired community sing and sign the Kyrie, or penitential rite of the Mass. 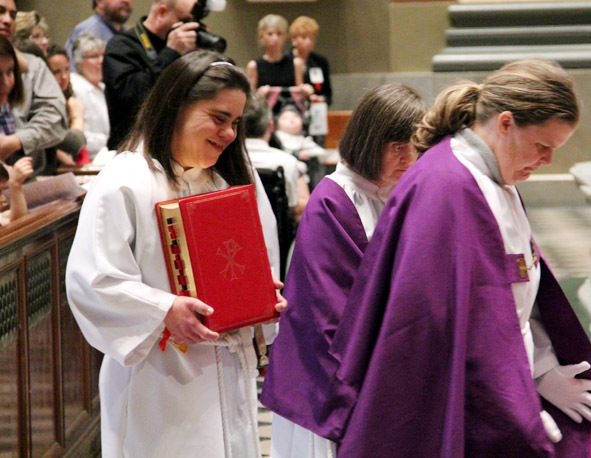 The ladies from Divine Providence Village, a Catholic Social Services facility for developmentally delayed women, were altar servers for the Mass. Men from Don Guanella Village, with the help of seminarians from St. Charles Borromeo Seminary, served for the Mass. 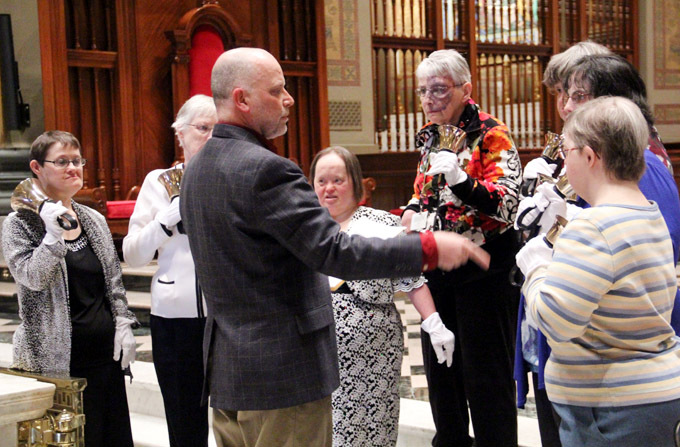 Don Guanella is a Catholic Social Services facility for developmentally delayed men.